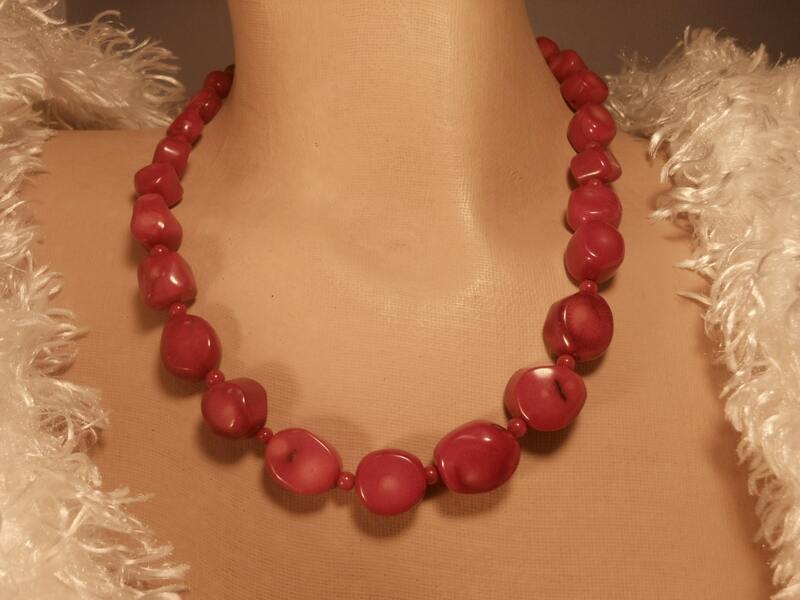 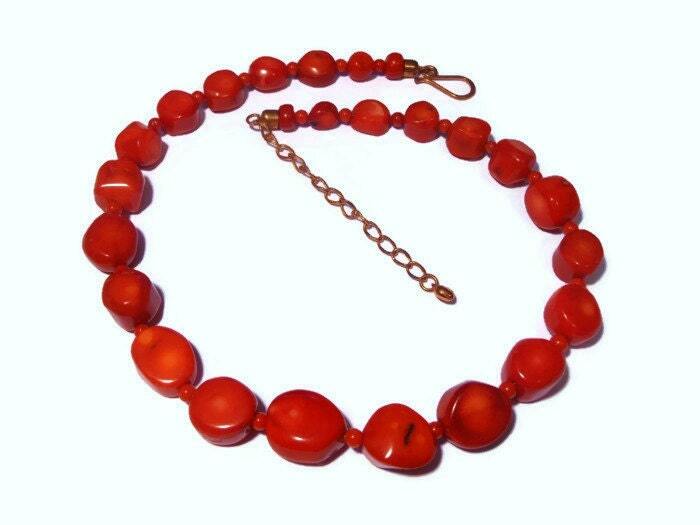 Jay King necklace DTR signed red bamboo coral with adjustable length. 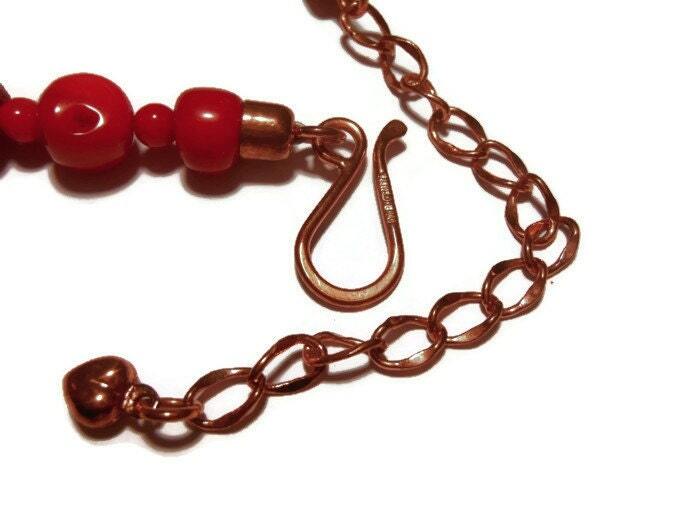 Retired piece from Desert Rose, this necklace is accentuated with copper bell caps and extender. 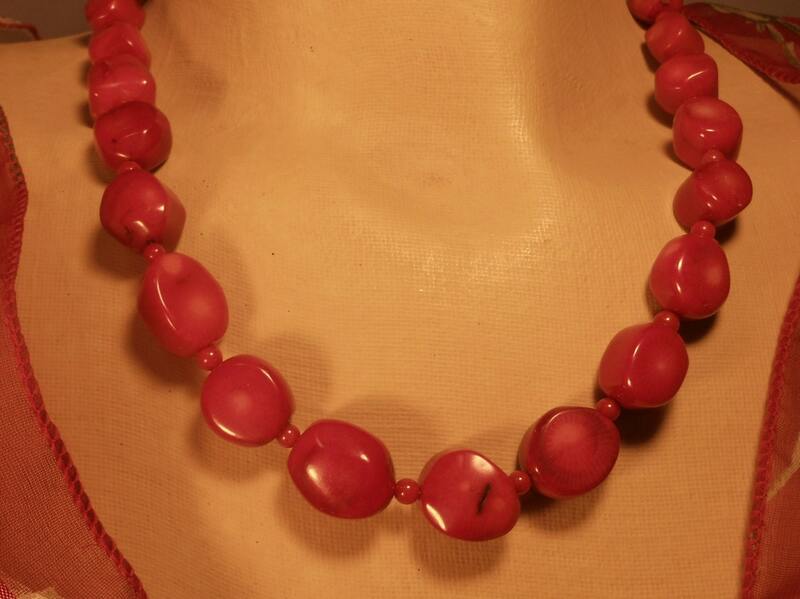 It measures 17 1/2" (44.5 cm) plus a 3" (7.6 cm) extender and is in like new condition.